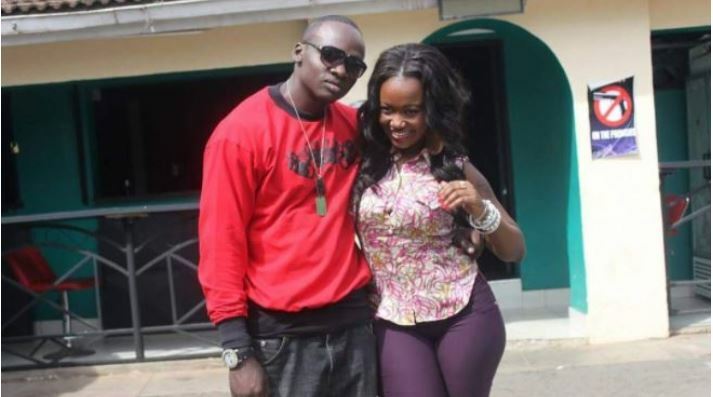 Nairobi video vixen Vera Sidika has responded to a request for a loan by Khaligraph Jones saying she is down to help him out. Khaligraph on Tuesday turned into a comedian as he took a dig at Vera’s money borrowing saga with Otile Brown. Taking to his Instagram, the rapper posted a photo of a Bugatti and asked Vera for a loan. “Veronica Sidika Shikwekwe, Cheza kama Wewe, pie me niletee hi machine Mtaa, naskia we ndio unapeana ma loan apa nje, it’s only $1million na nimebakisha 500k,” he wrote. While Khali says that he did it for humorous purposes, Vera claims that if the rapper is serious, the money is available. “If he (Khaligraph) doesn’t have the ego like most people from where he comes from, he can come for the money. Luos are different but if he wants the cash I will give it to him, because it’s not a big deal to me,” Vera bragged. On their beef about skin lightening and bleaching last year, Vera said it was stage managed. “The beef was fake, and people did not know that we created the beef. If the fans think we have beef then let them think so,” she said.